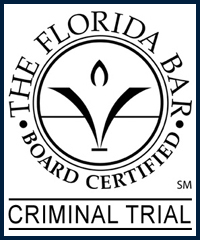 Lakeland Theft Crime Defense Attorney - Lawyer, Providing Professional Theft Crime Defense Attorney legal services for Lakeland, Winter Haven, Bartow, Polk County, and the surrounding Central Florida area. Call 863.660.2185 to Speak with Lakeland Theft Crime Criminal Defense Attorney / Lawyer, Joshua E. Schoen. Criminal theft occurs when an individual knowingly and intentionally obtains or uses, or endeavors to obtain or to use the property of another with the intent of either temporarily or permanently depriving the rightful owner of the property to posses, use or benefit from the property. Theft is also considered theft if the individual who illegally confiscated the property did so to appropriate the property for their own personal or commercial, or the use and benefit of any other unauthorized person or persons. Petit Theft, commonly called petty theft, involves property or assets of less than $300.00. Petit Theft is a misdemeanor criminal offense which is punishable by up to 1 year in jail. Grand Theft involves property or assets of $300.00 or greater. Grand Theft is a felony criminal offense which is punishable by up to 5 years in prison. For those who are found to be in possession of stolen property, it may be very important to not say anything without your attorney. Depending upon the amount and value of the stolen property, if you admit to knowledge of the stolen property, the prosecution may choose to seek trafficking of stolen property charges, which is felony of the second degree, punishable by up to a $10,000 fine, fifteen (15) years prison and/or probation. There are also provisions under Florida Law which may trigger an escalation of grand theft charges from a felony in the third degree to a felony in the second or first degree. Grand theft may include the illegal and unauthorized taking of money, auto and motor vehicles, firearms, a will or testamentary document, commercially famed animals, any fire extinguisher, or any other item of provable value over $300.00. Theft charges are not relegated to the individuals who physically took the stolen property or assets. Any person who initiates, organizes, plans, finances, directs, manages, or supervises the theft of property and traffics in such stolen property shall be guilty of a felony of the first degree, punishable by up to $15,000 fine, thirty (30) years prison and/or probation. When facing petit theft, grand theft, or other misdemeanor, or felony charges, hiring an experienced theft charge defense attorney or lawyer may provide you the best opportunity to achieve your desired outcome, or a fair and reasonable resolution. Protect your rights by seeking the legal advice and representation of an experienced Lakeland Theft Crime Defense Attorney / Lawyer. Contact Lakeland Theft Crime Criminal Defense Attorney / Lawyer Joshua E. Schoen at 863.660.2185 in the Lakeland, Winter Haven, Bartow, Polk County, and the surrounding Central Florida area.